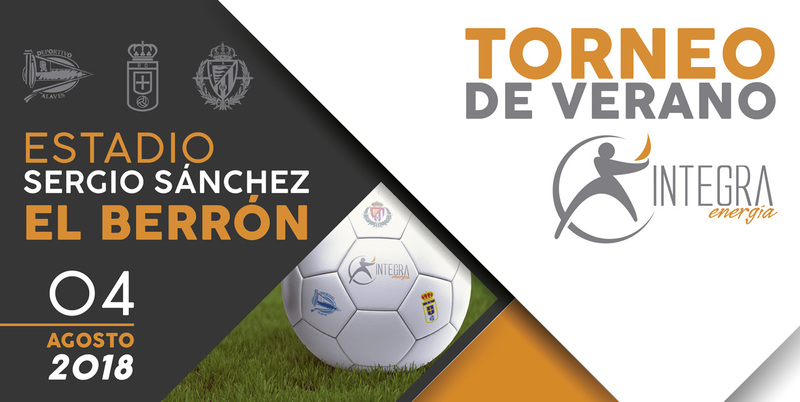 This Wednesday will be the official presentation of the I Integra Energy Summer Tournament in which Real Valladolid C.F., Deportivo Alavés and Real Oviedo C.F. and that will be disputed in El Berrón. The event will take place on Wednesday, August 1, at 1:00 pm at the Cruz de la Victoria Hotel (Don Rodrigo Muñiz Fernández Street, S / N 33186 El Berrón, Siero). The event will be attended by Mr. Ángel García, Mayor of Siero, Mr. Julio Torres, Commercial Director of Real Valladolid, Mr. Pablo Ortiz, Commercial Director of the Baskonia-Alavés Group and Mr. David Mata, Manager of the Real Oviedo. Integra Energía will be represented by Mr. David López, Head of Marketing and Communication and El Berrón C.F. by its Coordinator Josué Velasco.